10 Habits For 10 Years - Plan B Marketing, Inc. 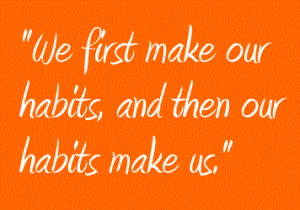 While at a conference the other day, the speaker, CJ McClanahan, was discussing habits. We all have them, some good, some bad and some we don’t even know we have. It was a good talk, so I thought I would share my notes… hope they make sense to you. 1- Begin with the end in mind, the VERY end. Make decisions based on that and that alone. What do you want people to say about you at your funeral? Are your actions everyday leading up to that? 2 – Prioritize. Have you read “The One Thing” by Keller? If everything is important, then nothing is. There are five levels of commitment… did you know that? Level 1 – NO, Level 2 – Want to, Level 3 – Try (when you say this, you are saying “no”), Level 4 – I’m totally committed, unless something else comes up, Level 5 – 100% all in. 4. Live in the moment. Spend no more than 4% of your time living in the past, 11% of your time living in the future. For you math majors, that leaves 85% of your time living in the NOW. 5. Constantly improve. Remember that nothing stays the same, it either gets better or worse. What are you doing on a daily basis go improve? What are you reading? Who are you meeting with? 6. Behave. If you wait until you feel in the mood, you will never do it. Successful people behave when they don’t feel like doing it. Boom goes the dynamite. 7. Exceed expectations. 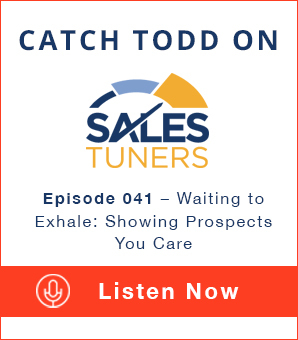 In business, you should set expectations and not allow your clients to set them. If you don’t set expectations, apologize profusely. Expectations and trust are built a little bit each day, set and exceed them. 8. Measure everything. Simply, you cannot improve what you don’t measure… you just can’t. 9. Re-think your thoughts. The average person has, drum roll, 30,000 thoughts a day. Put a rubber band on your wrist and when you begin to have negative thoughts, based on false beliefs, snap yourself (warning, this could be awkward). 10. Lastly, move on. You are going to make a mistake… maybe even two. Don’t dwell on them, there is NO value in dwelling. When you make a mistake, reflect on why/how it was made, learn from it, then move along… there will be more made.